The Sorby Hills lead-silver-zinc project is a near-surface lead-silver-zinc deposit held within a series of structures referred to as ‘Mississippi Valley’ deposits — these kinds of deposits can be prolific producers of base metals such as zinc and lead. Since our last update, the small cap completed the acquisition of 75% of the Sorby Hills (the remaining 25% is held by Henan Yuguang Gold and Lead Co. Ltd, China’s largest silver producer) and has today announced strong drilling results which are expected to upgrade and increase the confidence levels of the existing Mineral Resource. The existing PFS states Sorby Hills has an Indicated and Inferred Mineral Resource Estimate of 16.5 million tons grading 4.7% lead (Pb), 0.7% zinc (Zn) and 53 g/t silver (Ag). The latest drilling results come after the company announced earlier in the year that it would re-prioritise the Sorby Hills project and would not complete the acquisition of the Violin Project in Mexico. 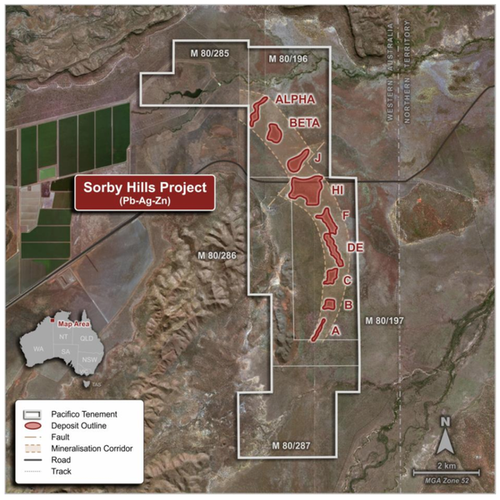 The Sorby Hills project had already undergone 1128 surface drill holes for 110,942m of drilling, and as such PMY had a mountain of information to draw on. 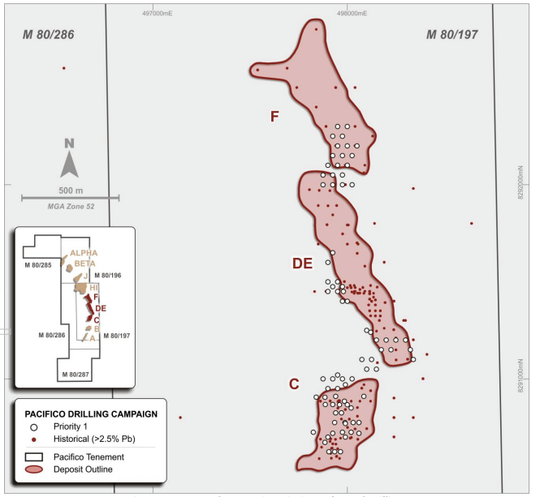 These are significant drill intercepts from each deposit, with standout results coming from F deposit indicating that mineralisation links with DE deposit and could be mineable with a single open cut. Further drill results from phase 1 drilling will be released in due course. The outlook for the project is particularly positive given some of the best pods of metals-rich ore are just 20 metres from surface. And with advancements made in exploration, mining and mineral processing since the project’s previous owner completed a Pre-Feasibility Survey, these factors could spell the difference for PMY as it looks to unlock Sorby Hills’ value. 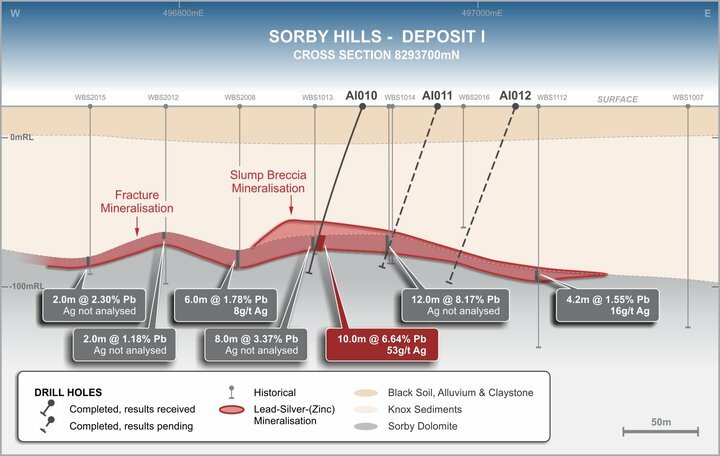 All-in-all, Sorby Hills is a potentially highly economic base metal deposit with shallow open-pittable mineralisation from 20 metres to 100 metres in depth, simple mineralogy allowing for low-cost beneficiation before plant treatment, robust metal recoveries, high silver credits and existing sealed roads to a nearby port. It is little wonder, Sorby Hills has become PMY’s primary focus. 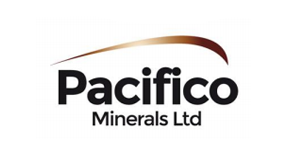 Pacifico Minerals (ASX:PMY) looks to be firing on all cylinders in 2019. Its management team, which includes non-executive director Peter Harold who founded successful nickel miner Panoramic Resources (ASX:PAN), which is now worth A$230 million, and Chairman Richard Monti, who has 30 years of corporate experience with Rio Tinto (ASX:RIO) and Normandy Mining (now Newmont), has been working with managing director Simon Noon to bring out the full potential of the company. Utilising its management expertise to its full extent, PMY has the potential to take a previously side-lined lead-silver discovery and turn it into a producing mine. 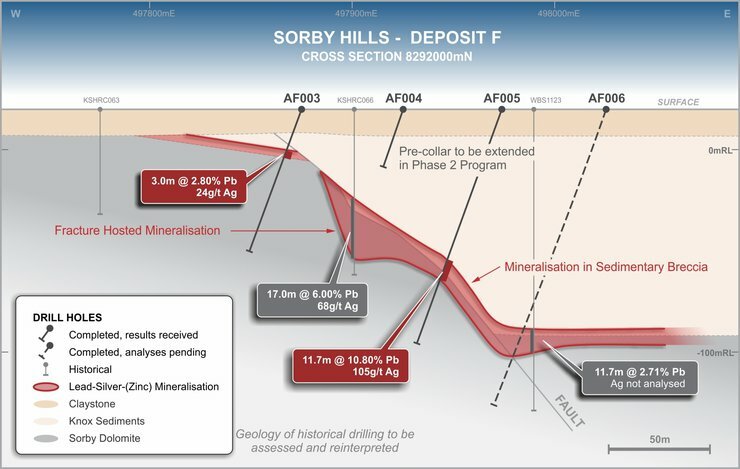 That discovery is the Sorby Hills project and while PMY maintains a majority stake in a JV with ASX heavyweight Sandfire Resources (ASX:SFR) with its Borroloola West base metals project in the Northern Territory, Sorby Hills is the attention grabber. Interestingly, the Sorby Hills acquisition wasn’t picked up by the market at the time, however the story is now gaining traction especially when favourable comparisons to Galena (ASX:G1A) are factored in. The $123 million capped Galena operates the world-class Abra Base Metals Project in WA. Like PMY, Galena has visions to develop its own Western Australian lead-silver-zinc project. Its project is also 40-years-old and is a high-grade, high-margin mining operation. The key difference here is that Abra is 250 metres underground, but as stated above, Sorby Hills is just 20 metres from surface. Sorby has a much higher silver grade (Abra has higher lead), but what really bodes well for PMY is Galena’s recent deal with Toho Zinc. Shares in Galena rose rapidly following the announcement that it had sold a 40% stake in its Abra lead-silver project in the Gascoyne to Japan’s Toho Zinc for $90 million. Given the similarities, could PMY be Galena version 2, with a big deal waiting around the corner? Time will tell, but interest is growing. 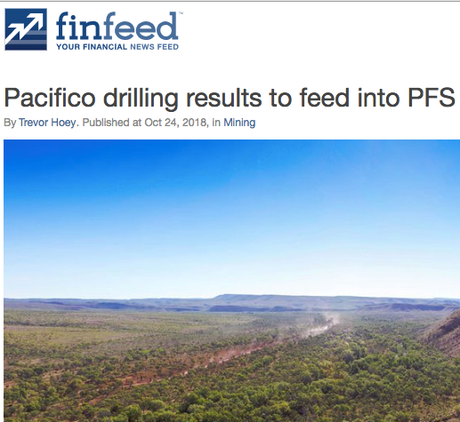 In November, Finfeed.com reported about PMY’s new major shareholder: Tony Poli’s investment group, Aigle Royal Superannuation Pty Ltd. 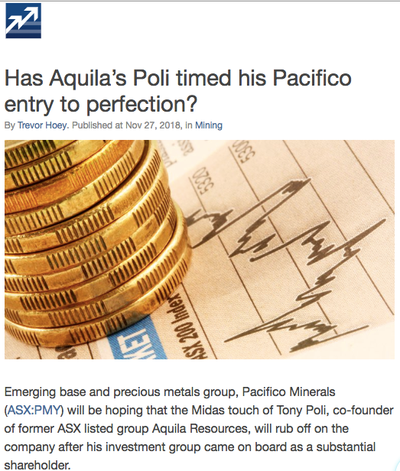 Featured in last year’s WA Rich List, Poli was a co-founder of former ASX group Aquila Resources, which was sold to Baosteel and Aurizon, netting him $400 million. Aigle Royal Super purchased 90 million PMY shares, giving it a 5.48% stake in the small cap and positioning it as the company’s fourth largest shareholder. All would be expecting significant results in 2019 and with Phase 1 drilling complete, the first milestone has been reached. The program aims to provide a higher confidence JORC Resource estimate (by increasing Indicated Resources) to include in a pre-feasibility study pegged for completion by mid-2019. Geological logging and interpreted rock geochemistry using a portable XRF have been used to confirm the project as a flat-lying sediment replacement deposit as indicated below. PMY is being systematic in its approach to increasing resource confidence. The company is focusing on areas of higher grade mineralisation and ones which are closer to surface. This approach has been taken to deliver enhanced economics and the drilling has served to confirm the geological continuity and increase the resource confidence of the deposit. Material changes in the confidence of the global 16.5 million tonnes at 6.0% lead equivalent MRE are expected. PMY will undertake further variability test work to confirm the economic viability of various pre-concentration methods over the entire MRE, initiatives that will provide clarity and assist the company in definitively attributing a project valuation. The just completed drilling program consisted of infill and extensional drilling focused on B, C, DE, F and I deposits, within and immediately adjacent to the high-grade Inferred portions of the existing mineral resource. The team prepared a focused drill program with the aim of converting Inferred Resources to the Indicated category for Deposits B, C, DE, F and I. While the previous drilling carried out at Sorby Hills was vertical mud rotary, RC and diamond drilling, PMY’s campaign involves angled RC and diamond drill-holes to assess the potential for high grade mineralisation that “may be controlled by vertical structures”. The exploration methods PMY are utilising have therefore never been tried at the project before. Standout individual results included DE deposit in drill hole ACD046 which was one of the most prominent in terms of thickness. The 20 metre intersection (as seen below) also featured a strong grade of 8.6% lead equivalent. Extensions to the known resources at DE Deposit include ACD046 with 20.0m thickness of 7.3% Pb, 56g/t Ag and 0.4% Zn. ACD046 demonstrates the thick ore grade mineralisation within the Sorby Dolomite and immediately below the contact with the upper Knox Sediments. Meanwhile I deposit intersected 10 metres at 7.8% lead equivalent. Analyses from most holes at I Deposit are pending, however this is the deepest deposit at an average depth of 100m. Drill hole AF012 intersected 15.0m of 5.8% Pb, 81g/t Ag and 0.1% Zn (50m to the north and not shown in cross section) and AF005 intersected 11.7m of 10.8% Pb, 105g/t Ag and 0.4% Zn. 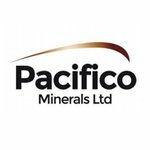 Results from a number of holes are pending and will assist in the re-evaluation of geology and mineralisation. You can see all the results in today’s announcement here. The Phase 2 infill and expansion drill program is now scheduled to commence in April 2019, just a couple of months from now and like this current round is geared to updating the mineral resource. As stated, an updated Mineral Resource should materially enhance the economics and confidence of an optimised pre-feasibility study scheduled for mid-2019. The release of this update will follow a Phase 2 drilling which is set to begin in April. Since its acquisition of Sorby Hills Project, PMY’s primary focus has been to commercialise the project with an initial strategy of declaring a Maiden JORC Mineral Resource Estimate (MRE), increasing the confidence level of the MRE and further optimising the project economics given recent advances in processing technologies. Fresh drill core from this most recent campaign is being utilised to assess various density separation techniques designed to separate ore from waste rock to form a pre-concentrated product prior to further concentration via a lead flotation circuit, thereby significantly reducing capital and operating requirements. Establishing an economically viable project will not only ensure that the project can proceed, but it will be crucial in terms of PMY attracting the right partners to assist in funding. Late last year, PMY raised A$1.28 million via a Share Placement, and promptly followed this up with an Entitlement Offer which was completed in November, bringing in a further A$1 million. As at 31 December, 2018, PMY had a consolidated cash balance of $2.3 million. What is promising for Sorby Hills’ prospects is the current weakness of the Australian dollar, which has dropped from around 80 US cents in January to 71 cents today. Compare this to 2012 when Sorby Hills’ previous owner, KBL Mining, completed a Pre-Feasibility Study for the project and the Aussie dollar hovered several cents above US dollar parity for most of the year. Therefore, the existing PFS — which highlights significant potential for the project — didn’t include the current advantage of today’s weaker Aussie dollar. Given that a weak AUD makes our metals exports more attractive, it is a factor that could spell the difference between a smaller scale project like Sorby Hills being forgotten, or morphing into a solid success story – certainly one that attracts high value JV partners. As announced in its latest quarterly, PMY managing director, Simon Noon, was invited to China to visit the head office of 25% JV partner, Henan Yuguang. During Noon’s trip to China, the bulk of discussion was centred around Henan Yuguang’s focus on securing supply of mineral concentrate and assisting PMY in advancing Sorby Hills to production. Conversation also turned to offtake and payability discussions to begin immediately with the aim of strengthening the economics of the feasibility study. As China’s largest silver producer, this is a relationship that shouldn’t be taken for granted. From a geological perspective, the evidence from Sorby Hills points to an ore body that’s flat, shallow and therefore amenable to low cost mining — a hugely important factor for a $6.5 million capped junior. Further, the project has the advantage of established local infrastructure that would allow a fast-track to production, and Environmental Protection Authority approval and Mining titles are already in place. 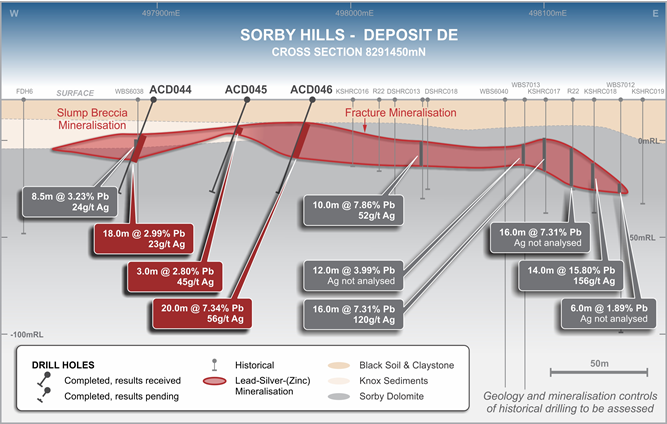 Sorby Hills has also been found to have brownfields exploration potential, with deposits open along strike and at depth. The ore has been demonstrated to be amenable to recovery, and able to produce a high-quality concentrate. Add to these factors the support PMY has from JV Partner Henan Yuguang, coupled with the possibility of Henan becoming a convenient an end user... and you’ve got what appears to be a bonafide under-the-radar story.